What it is: A bronzer that creates allover warmth and dimension while helping you achieve a rich, light, matte, buildable tan. What it does: Infused with 100% real cocoa powder for skin-loving benefits and a long-wear bronze, this bronzer smells as good as it looks. The buildable formula wears for up to eight hours. How to use: Sweep over your face where the sun naturally kisses such as your forehead, cheeks, chin and neck with a soft powder brush. Choose your perfect color by selecting the shade that is 1-2 shades darker than your skin tone. For a red carpet bronze, create a C shape starting at the temples and finishing at the base of your cheekbones. 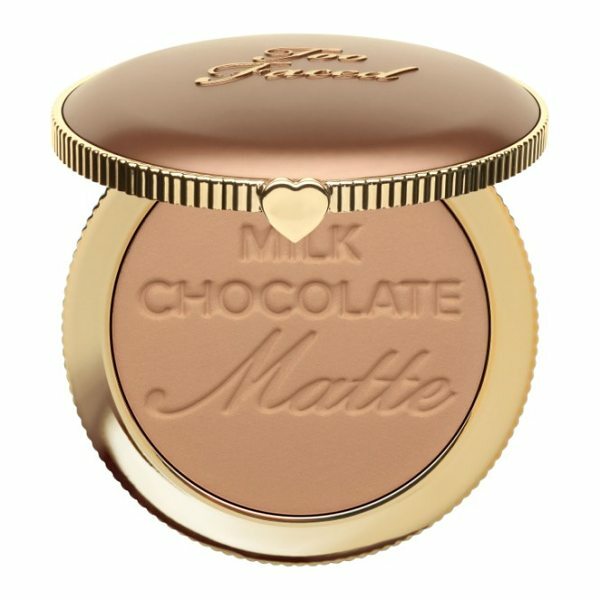 Style Name: Too Faced Chocolate Soleil Bronzer. 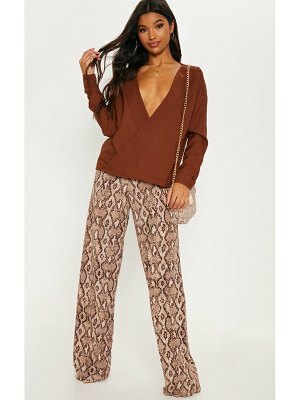 Style Number: 5632881. Available in stores.